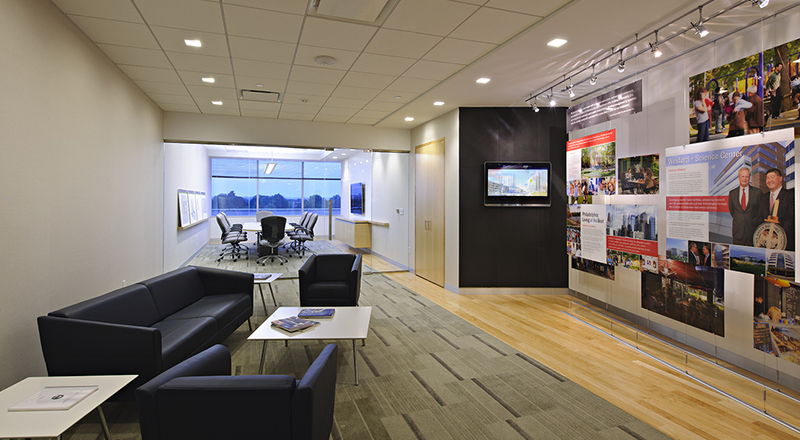 The Marketing Center was designed to welcome and introduces visitors, colleagues and potential tenants to the University City Science Center. 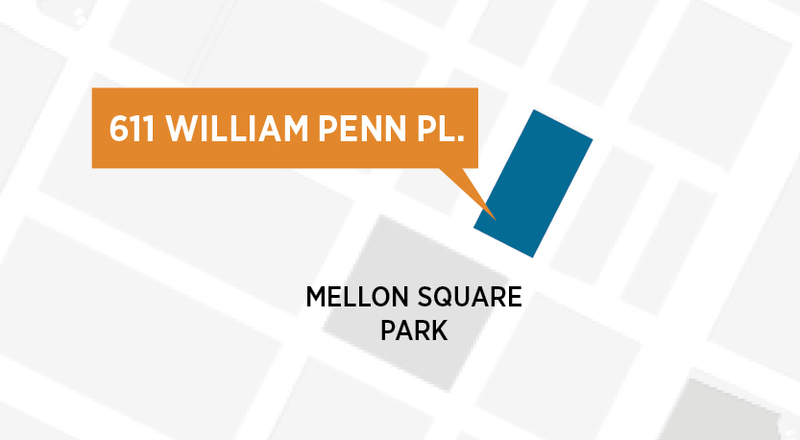 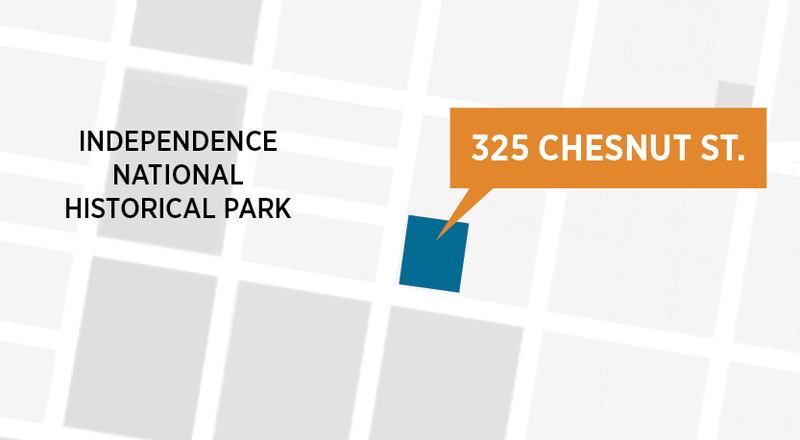 An incubator of life science and technology companies, the Science Center occupies over two million square feet of real estate among 15 buildings that cover 17 acres in West Philadelphia. 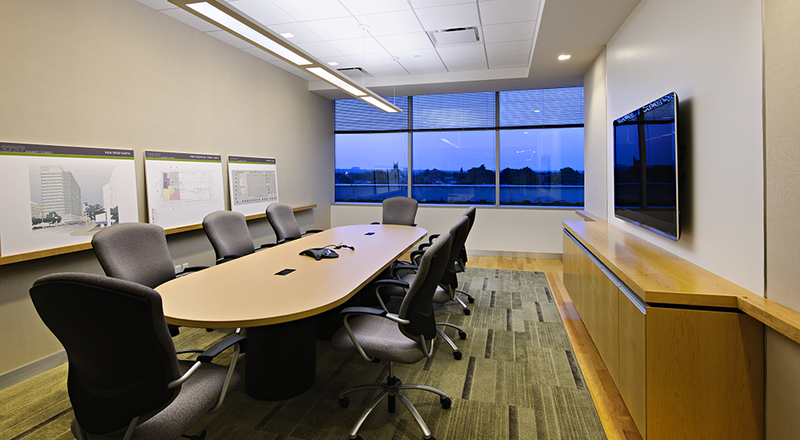 The Marketing Center offers reception space and a conference room with stunning views of the city. 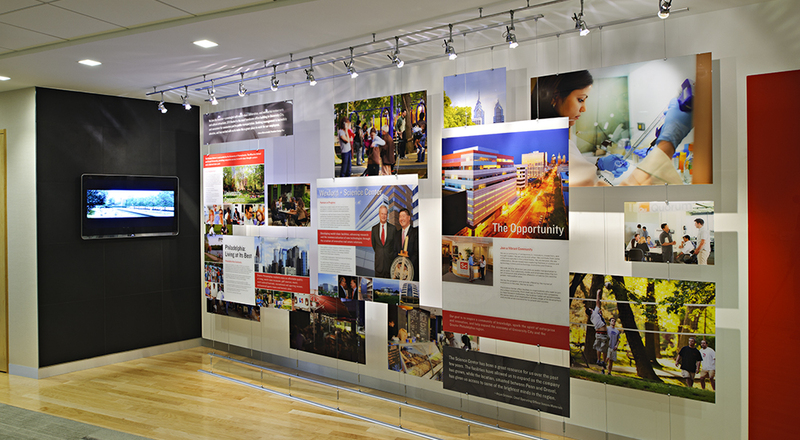 It also features an exhibit highlighting the Science Center’s history and facilities as well as amenities in the surrounding neighborhood.